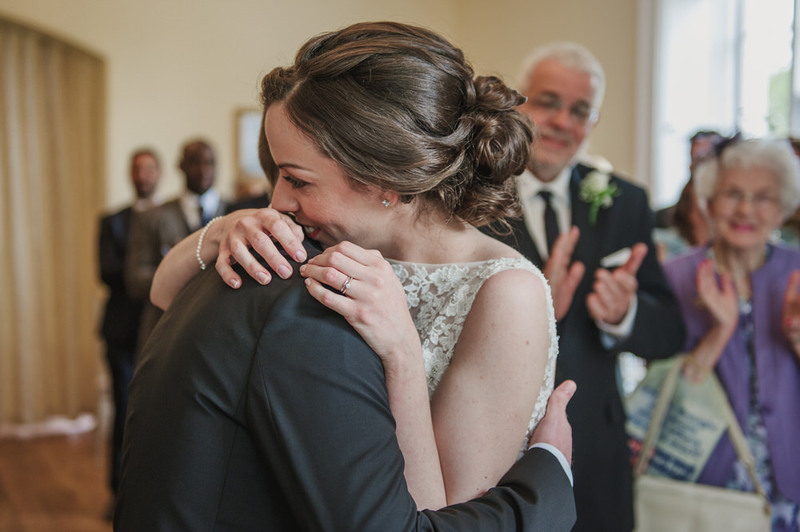 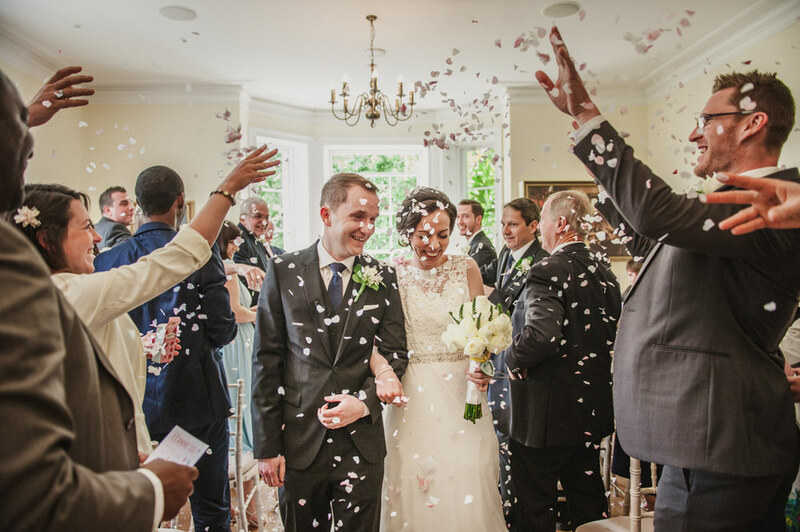 When Leanne and Matt asked me to photograph their Pembroke Lodge wedding, I jumped at the chance. 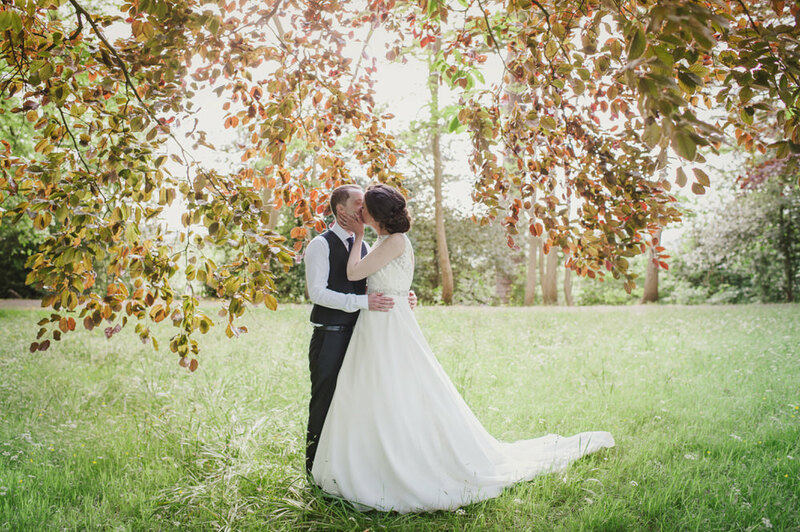 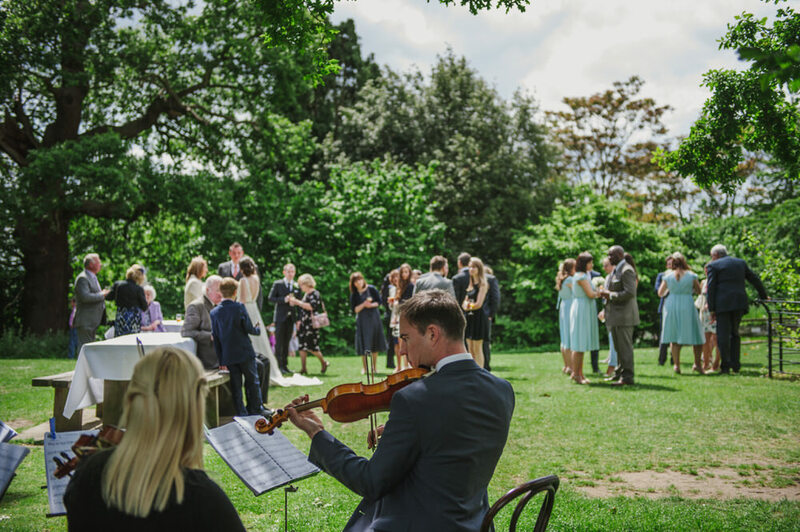 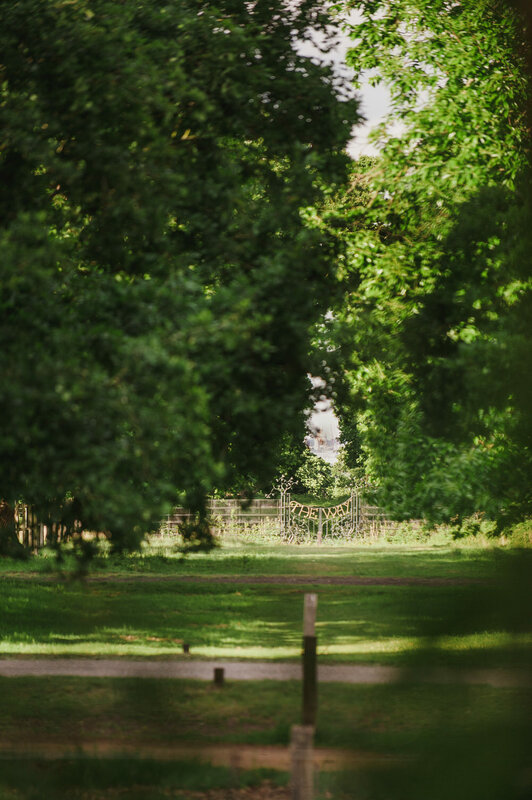 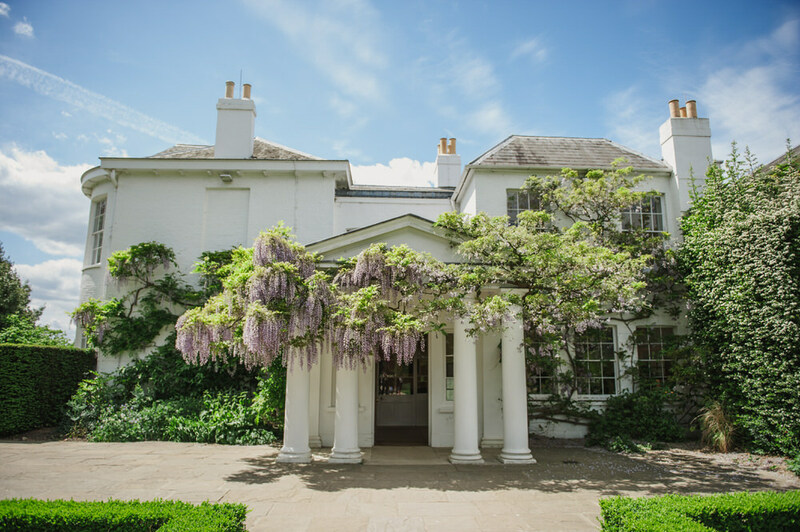 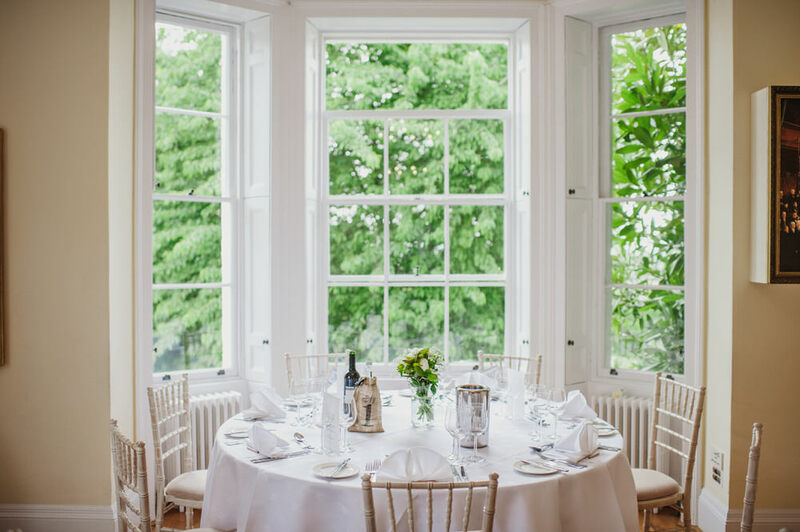 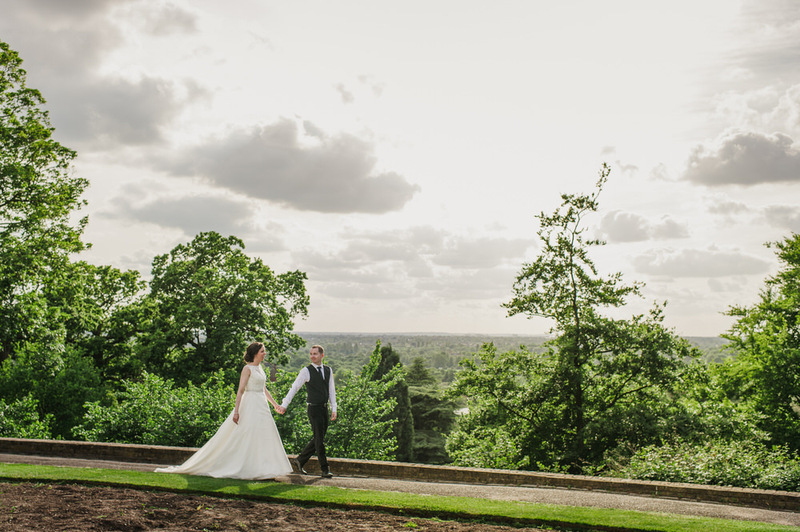 It is one of my favourite wedding venues in Richmond Upon Thames and is set in beautiful Richmond Park, the added bonus is that it’s very close to my house. 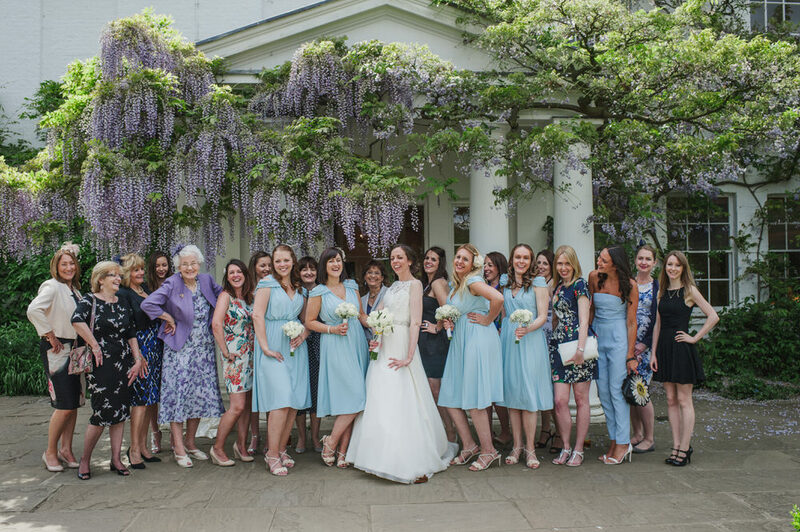 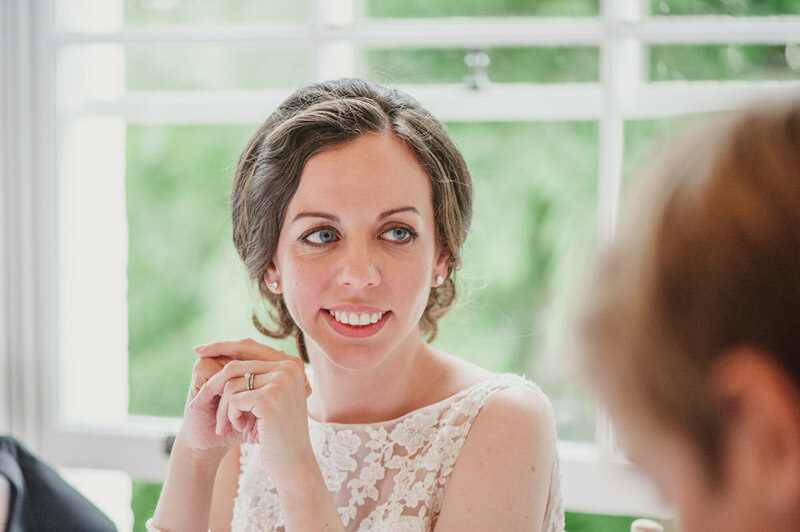 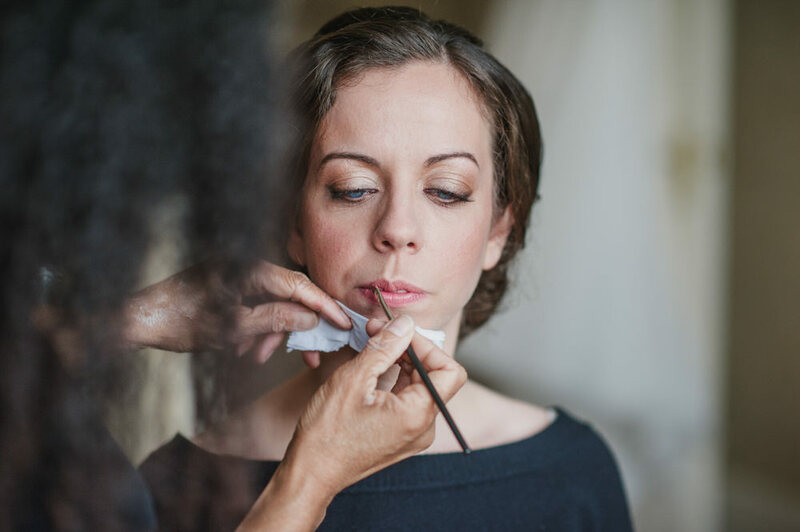 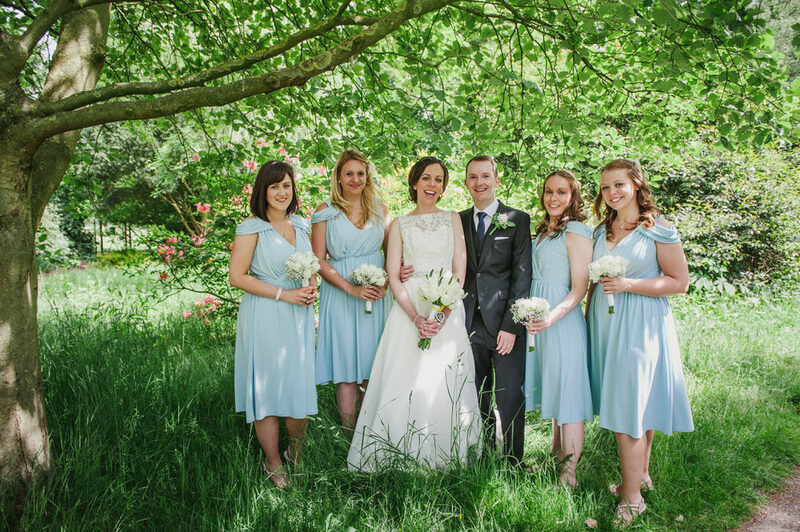 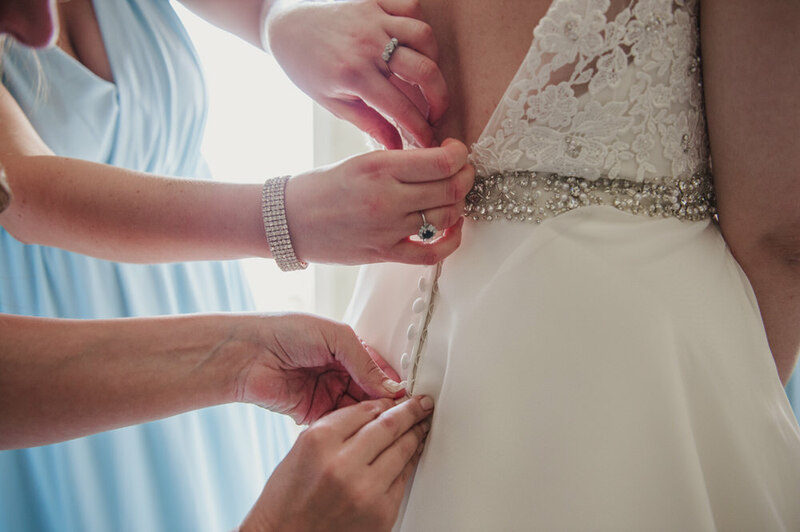 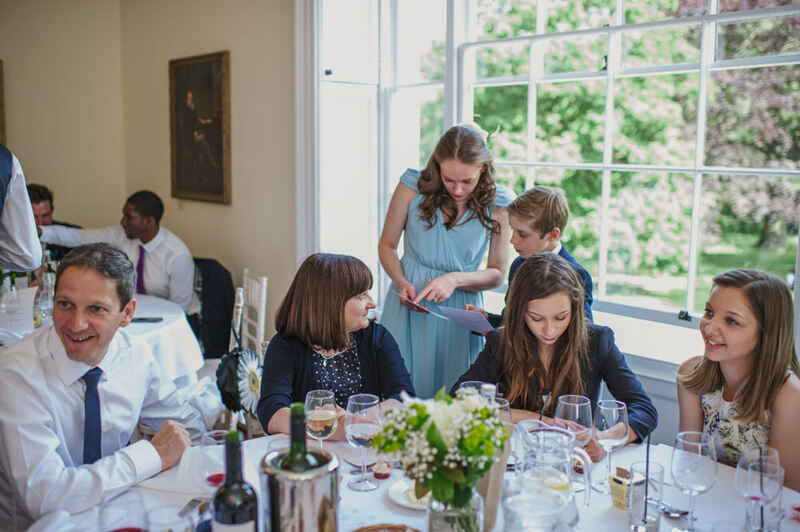 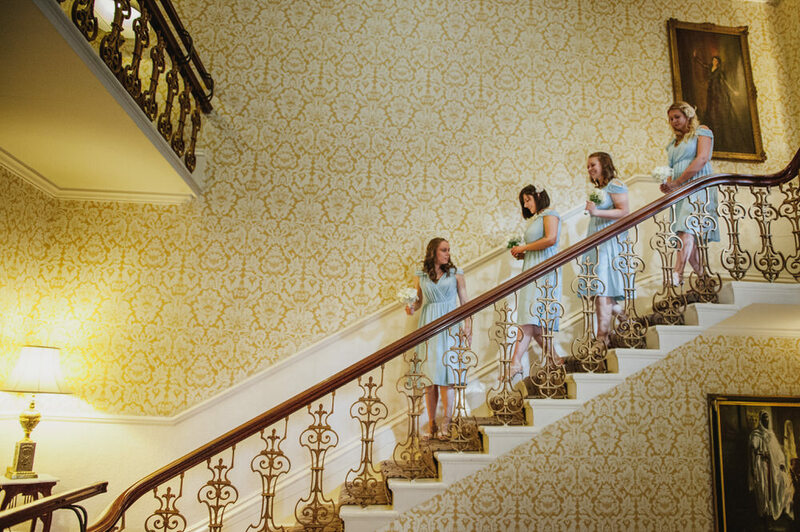 You’ll notice Leanne got ready, with the help of her bridesmaids and Pam Wrigley make-up artist, in the stylish setting of The Petersham Hotel before the short drive to Richmond Park. 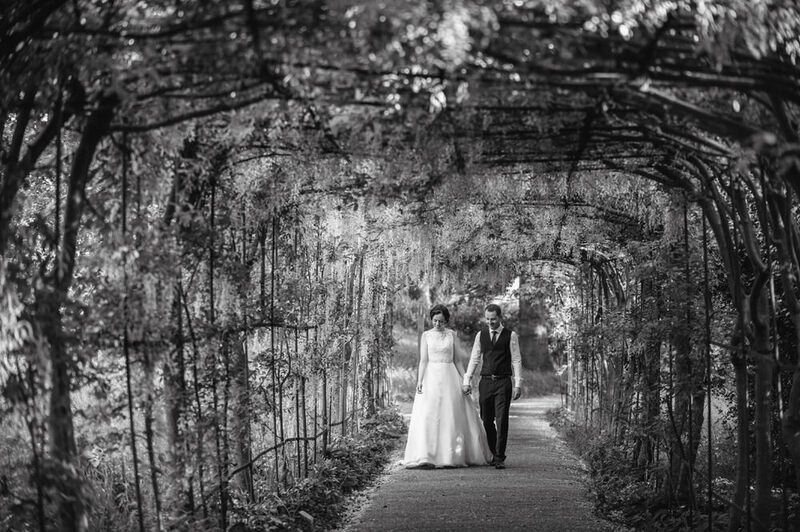 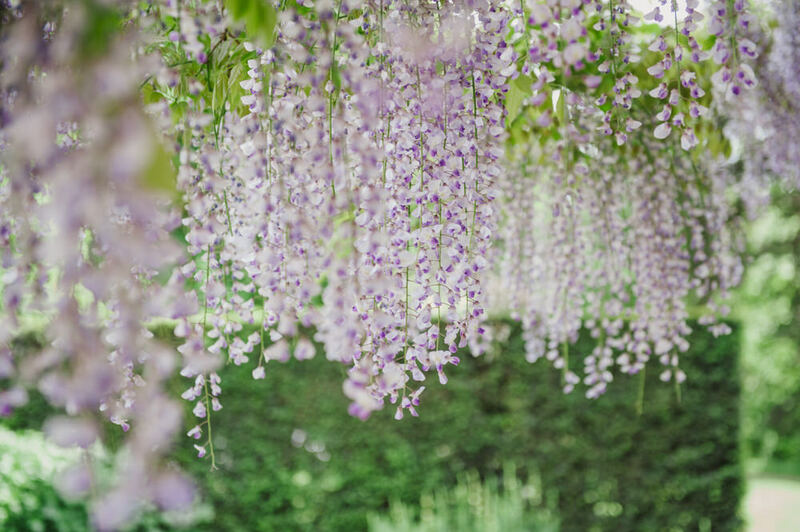 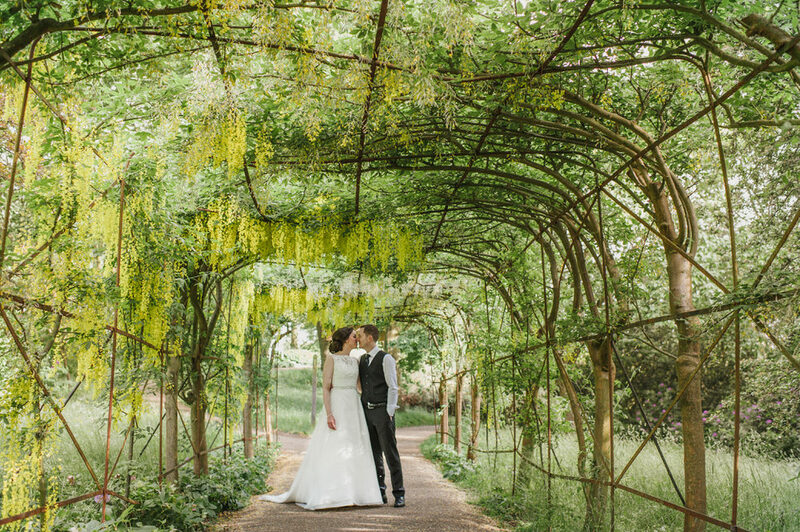 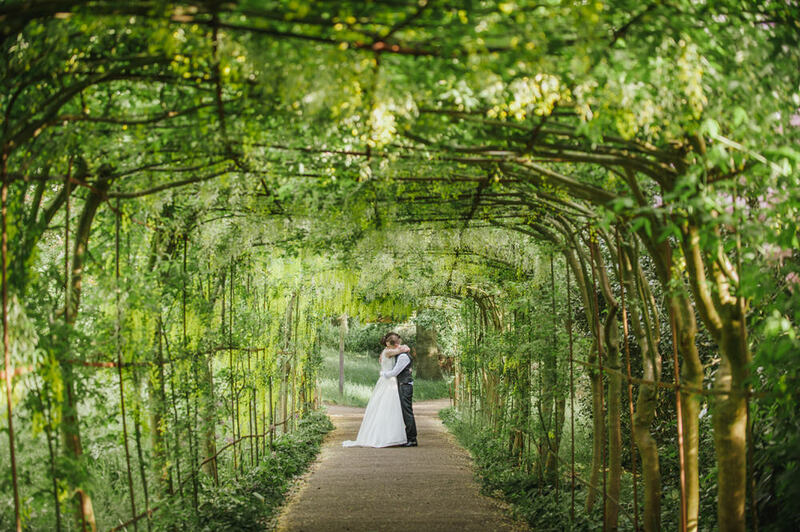 Spring is the perfect time of year to make the most of the Laburnum Walk which was in full bloom: the yellow flowers hanging from the pergola were pretty spectacular and we were able to incorporate this into our wedding photos. 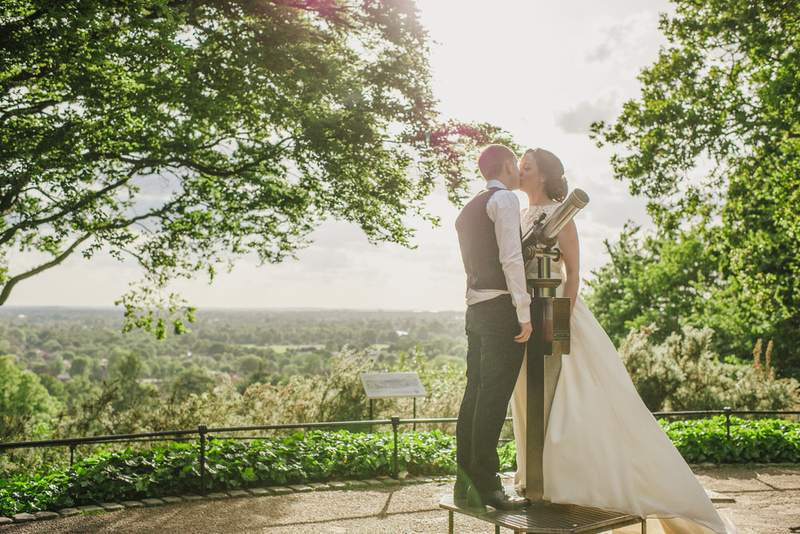 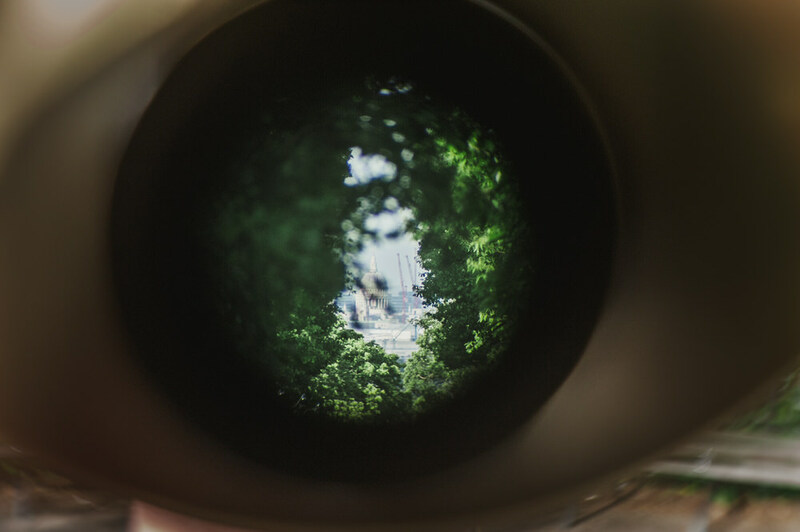 I often go for walks in Richmond Park and know the area well so when it came to having some time out for our couples photos I suggested to Leanne and Matt to have a go with using the telescope on King henry’s Mound to see if they could see St Paul’s. 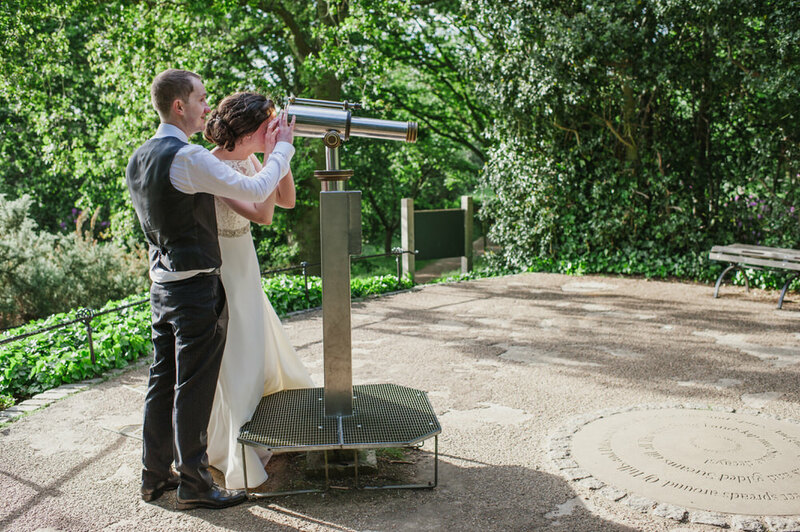 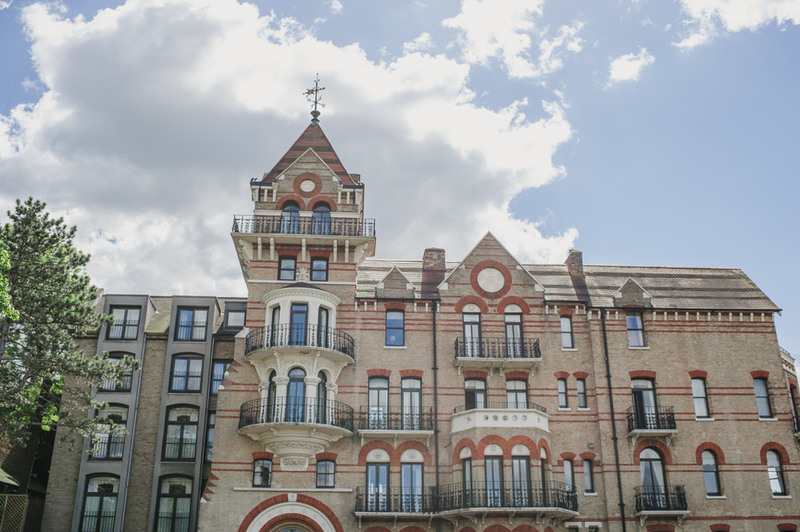 It’s a protected view dating back to Henry VIII reign. 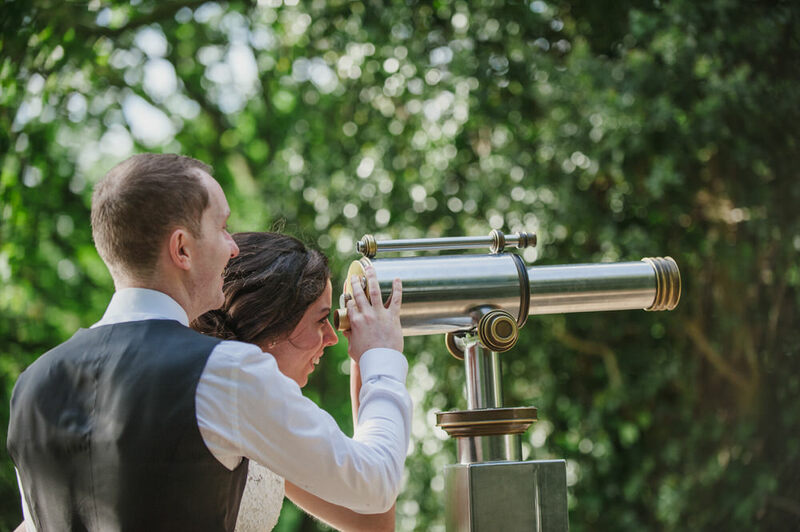 If you look closely you can see it through the telescope! 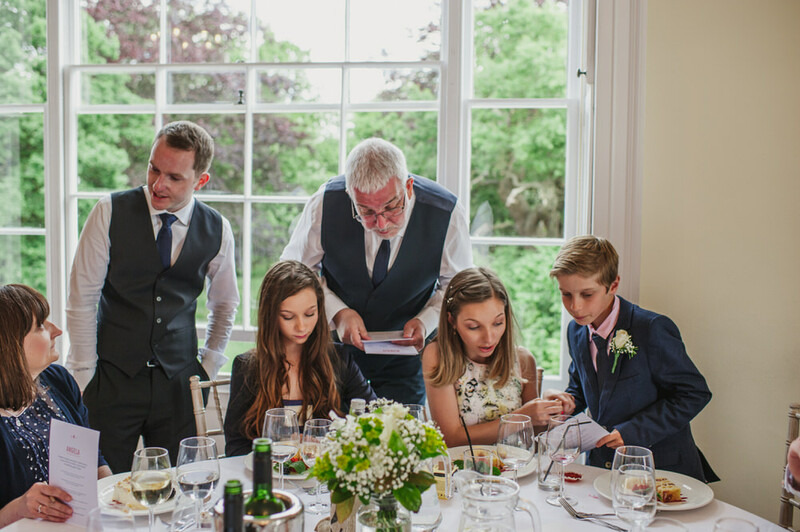 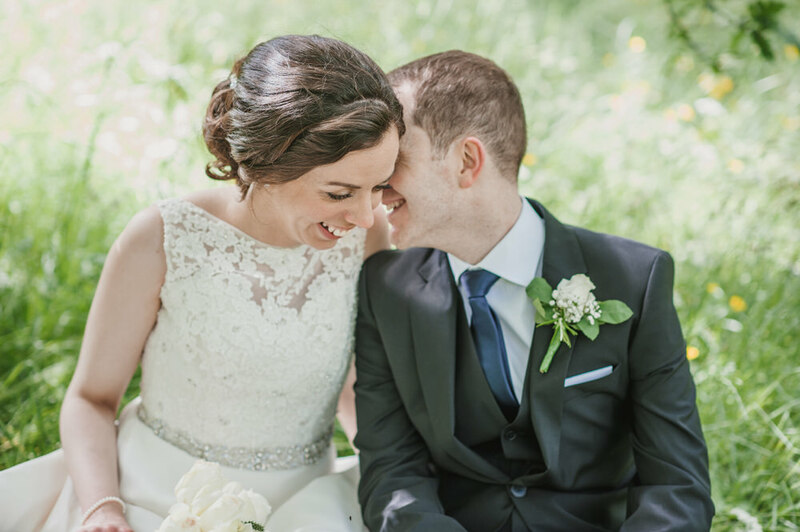 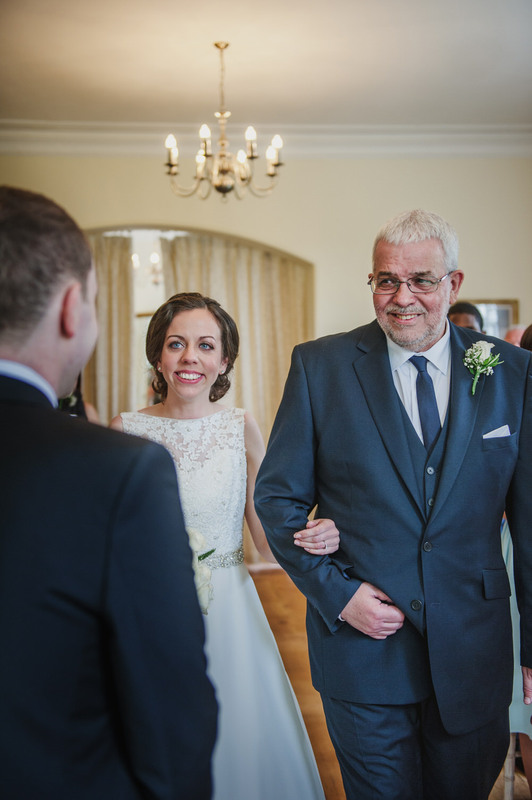 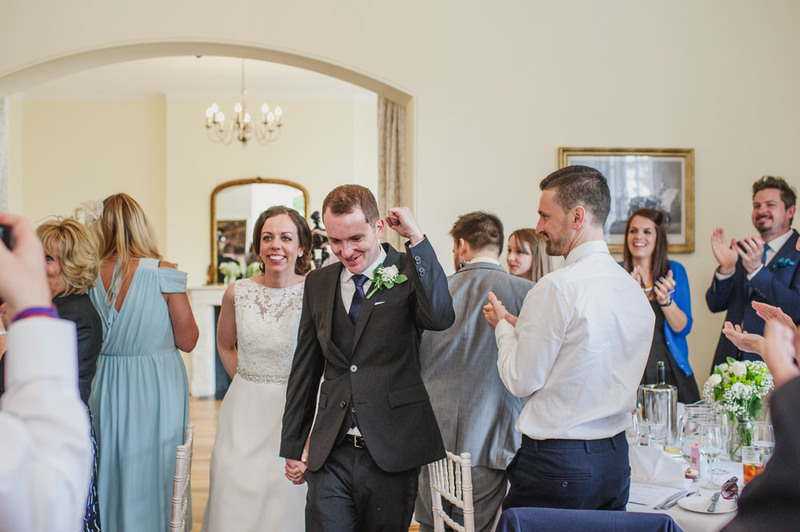 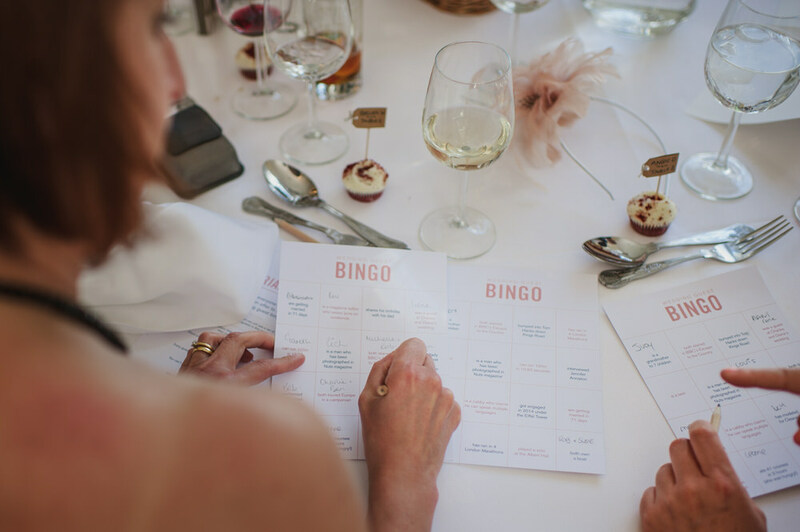 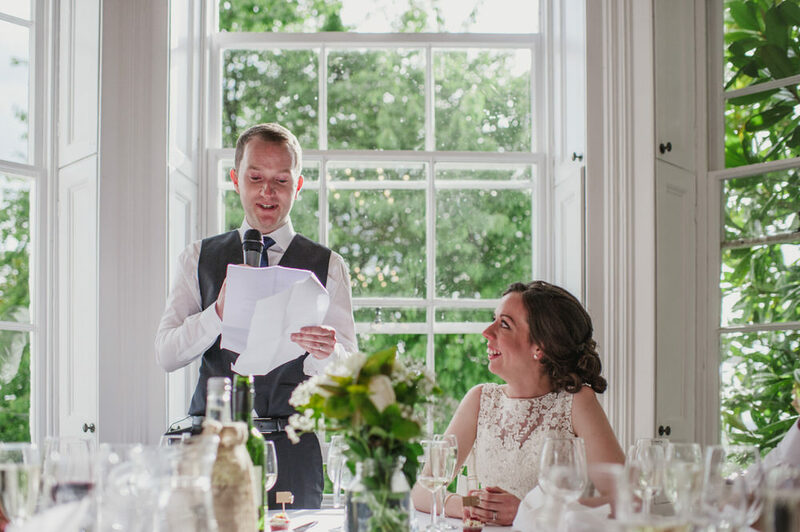 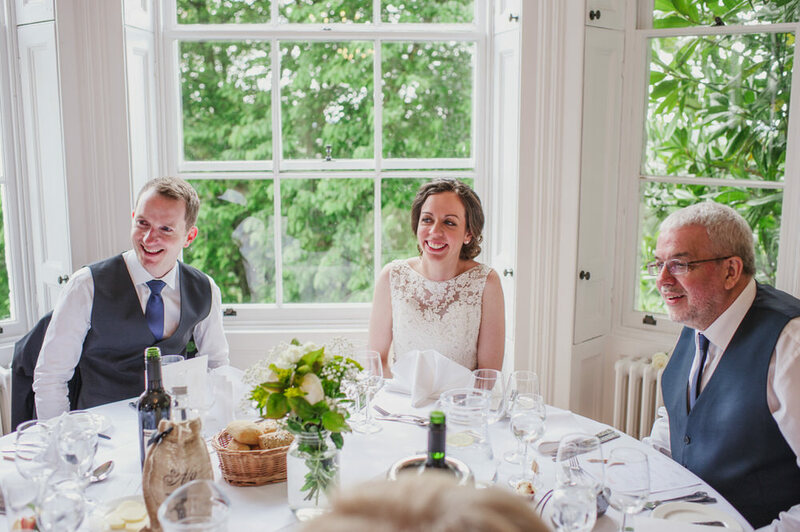 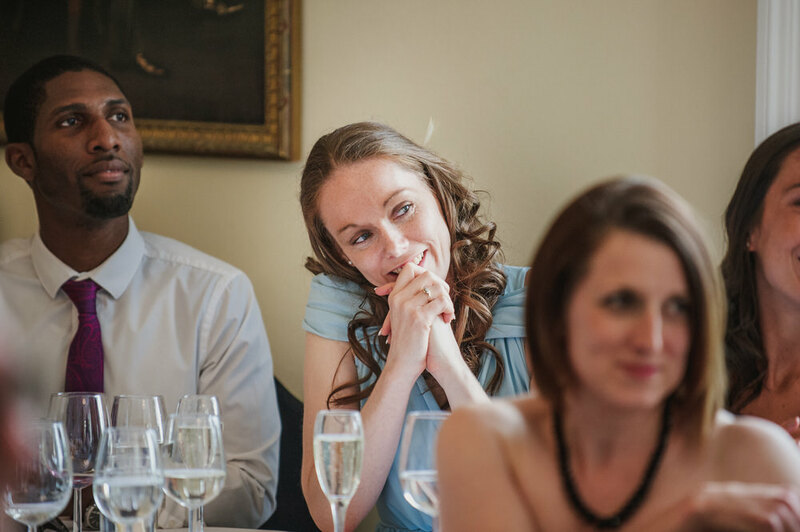 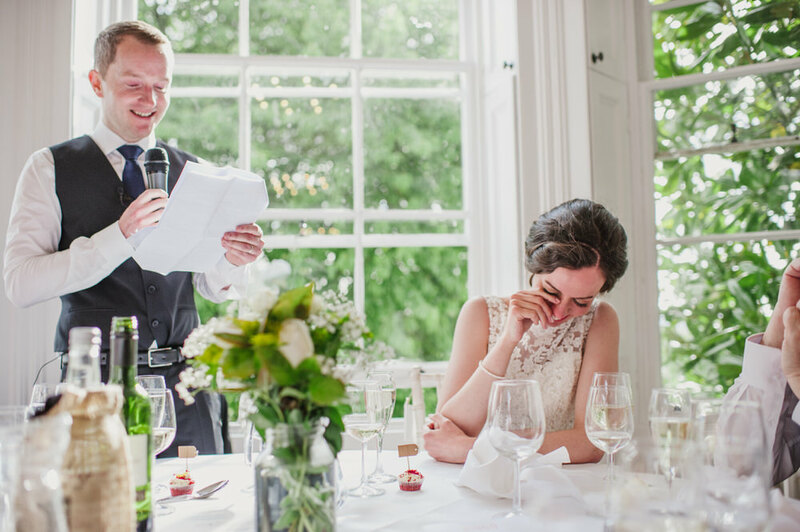 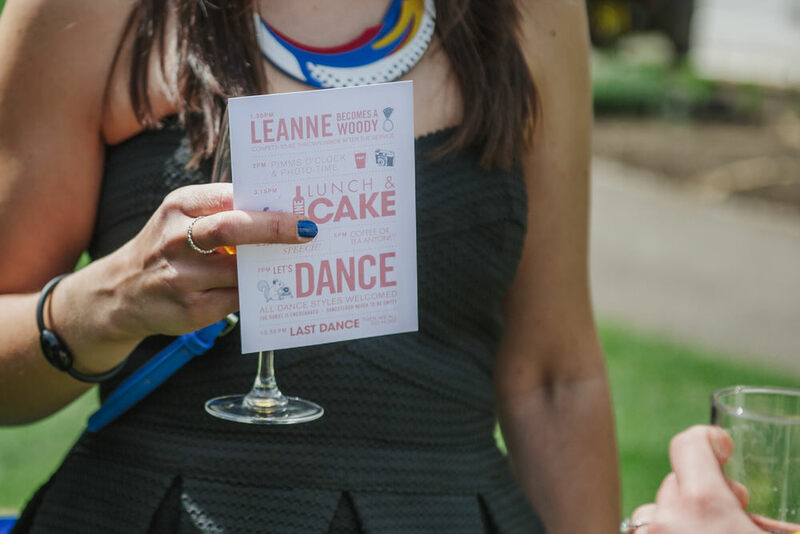 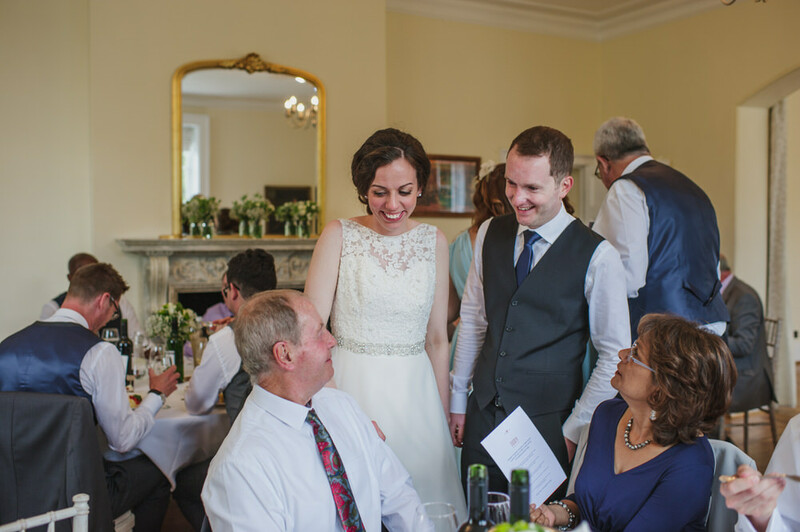 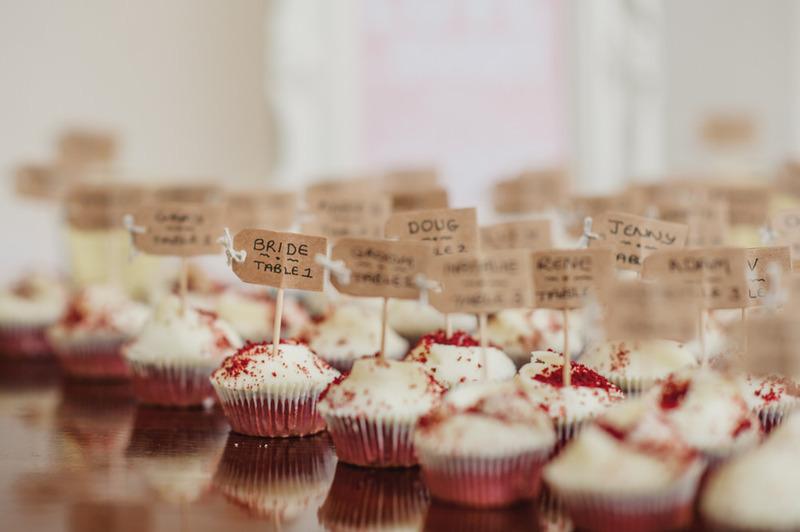 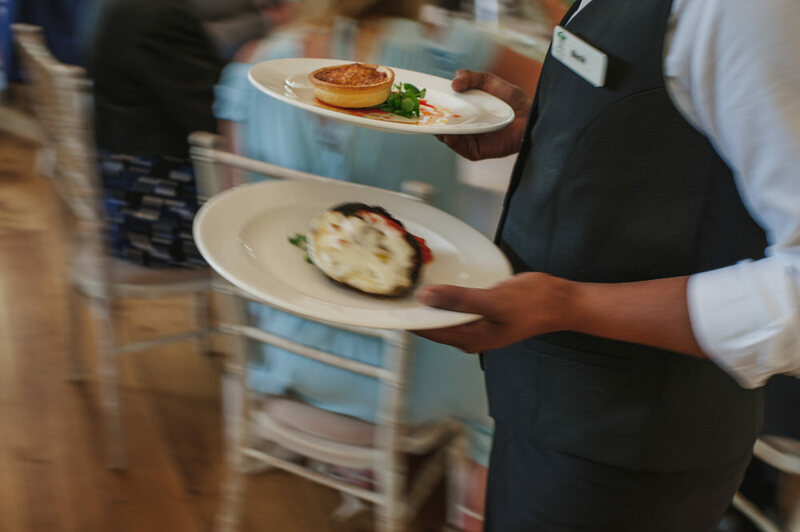 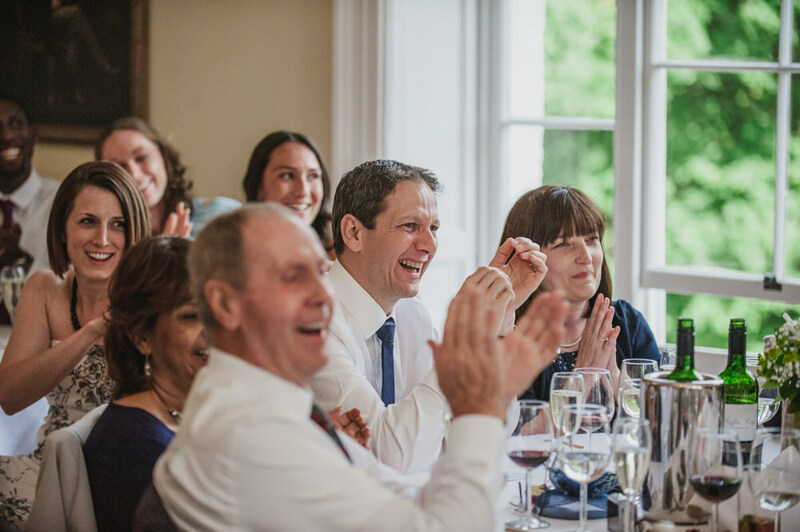 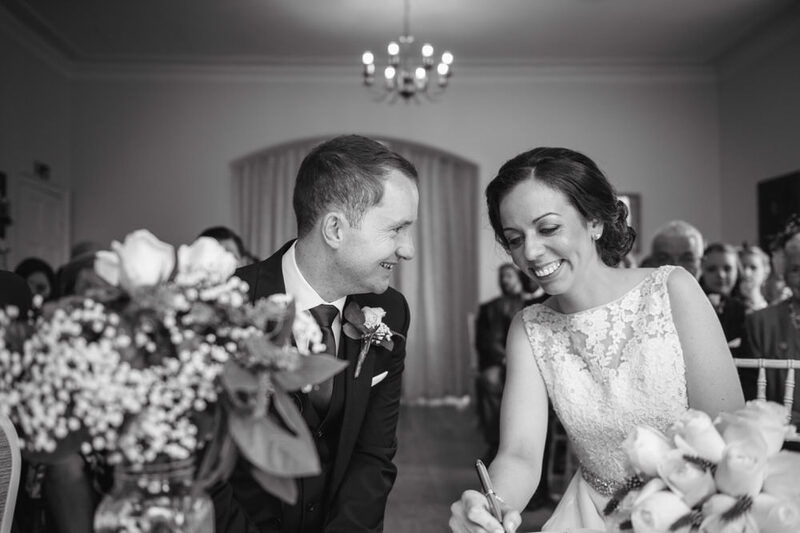 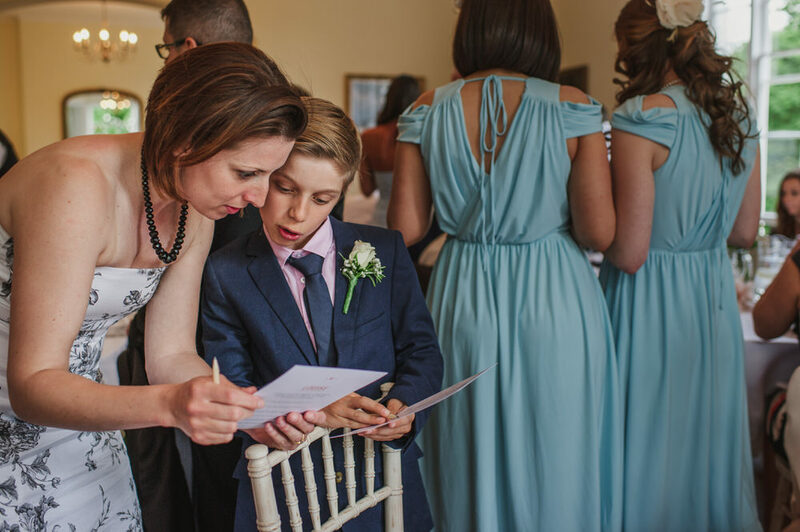 Leanne and Matt had taken great care over the details of their wedding and had included personal touches like the Bingo game for the guests to get to know each other better before the wedding breakfast and speeches. 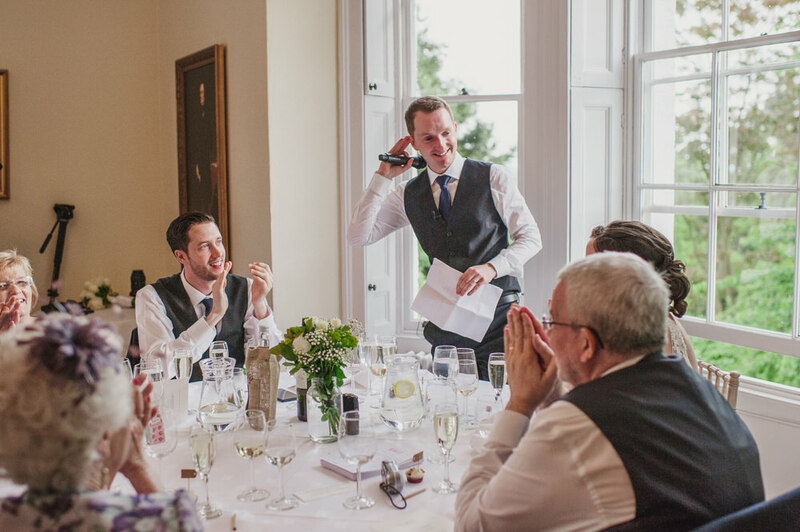 Matt was pretty creative in designing all the stationery and the menus too. 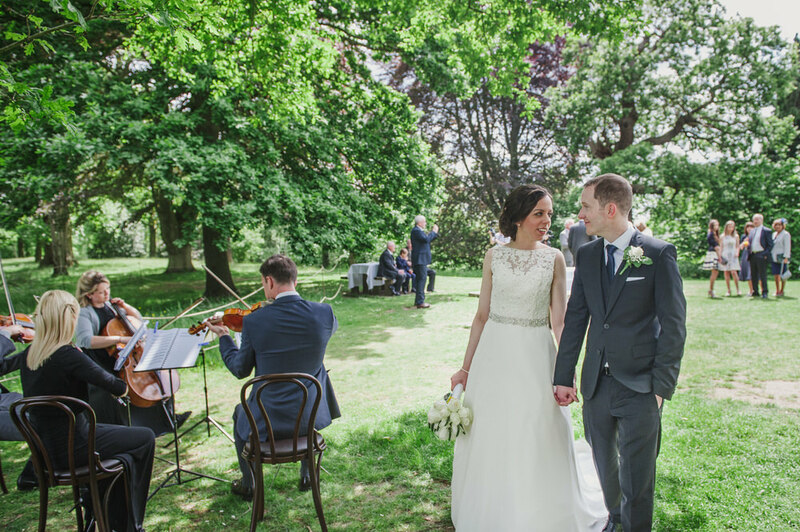 It was a gorgeous sunny spring day so we were able to make the most of the location. 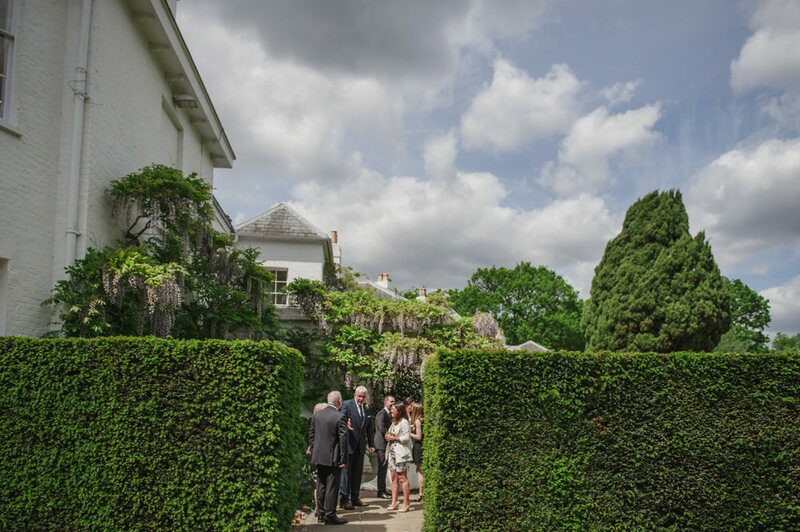 Pembroke Lodge has stunning gardens to walk around and we had drinks and canapes outside accompanied by the string quartet. 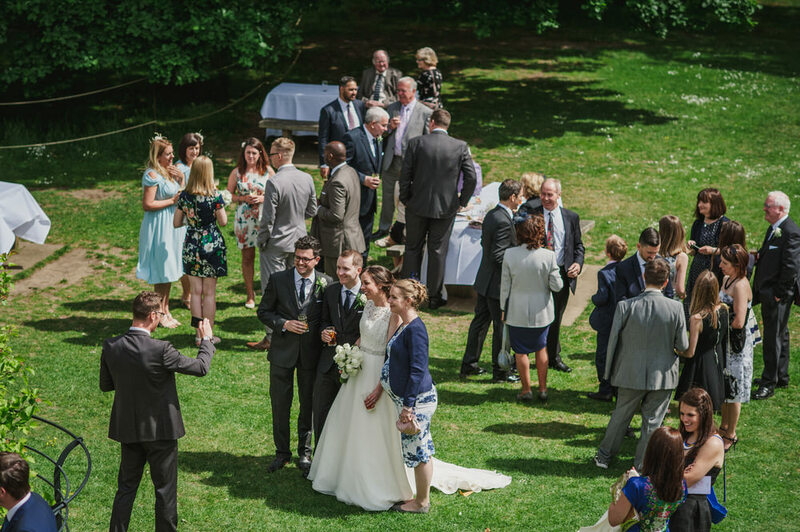 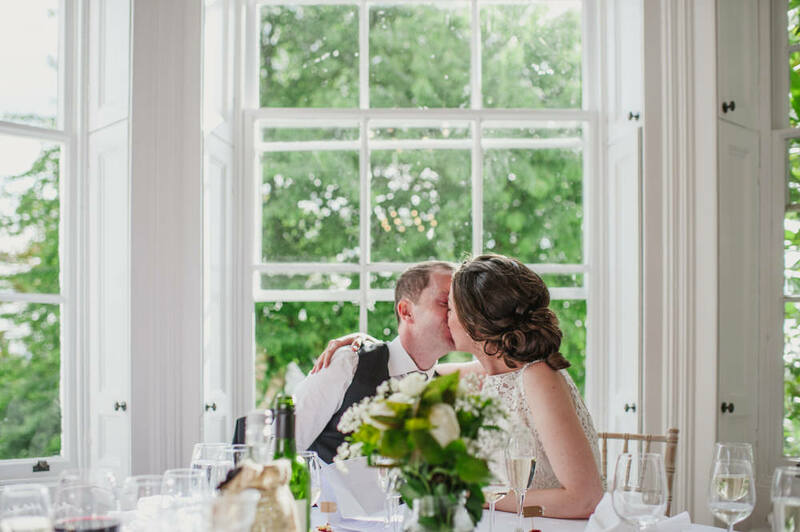 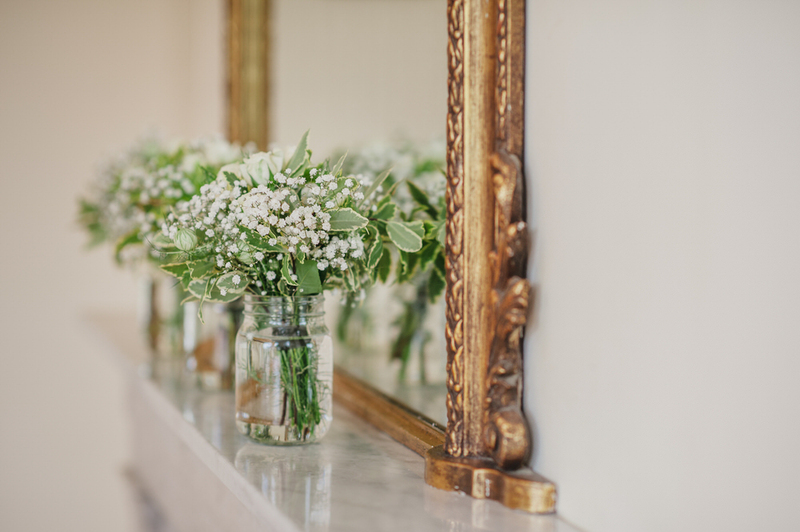 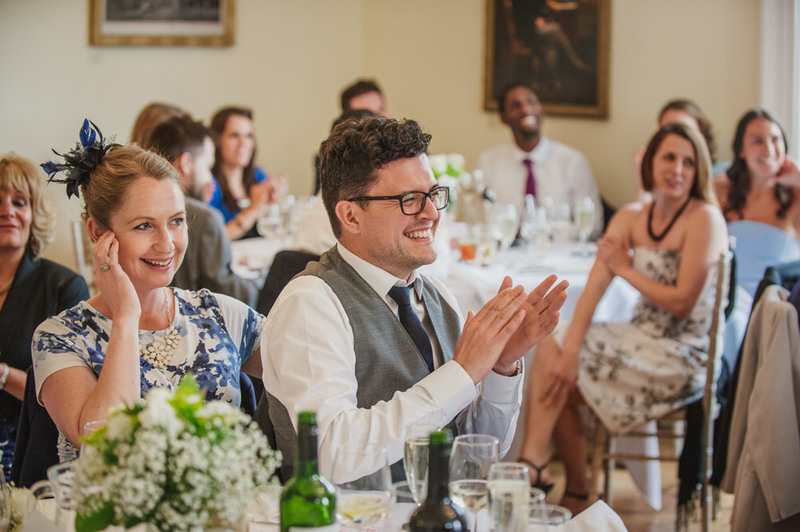 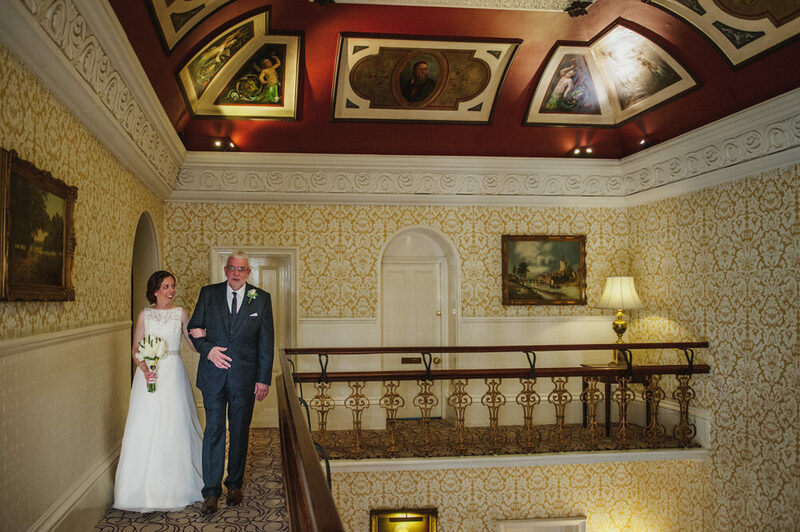 If you are thinking of having a smaller gathering for your wedding at Pembroke Lodge then the Russell Suite is perfect for this and is filled with light (which us photographers love of course!) 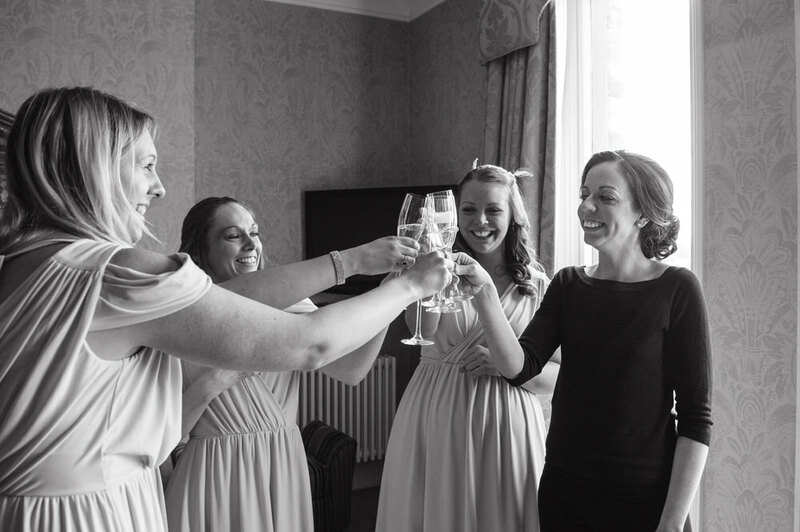 The staff at Pembroke Lodge are amazing too, making everyone feel special and well looked after, including me. 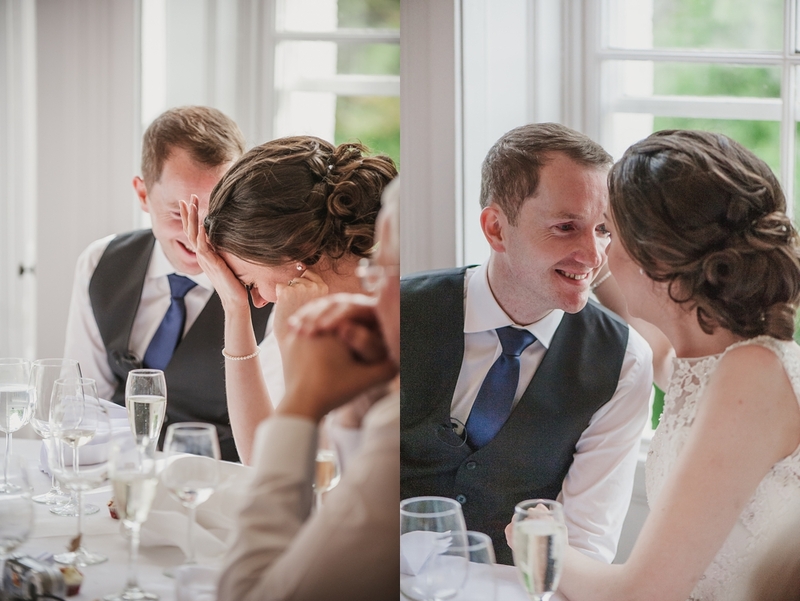 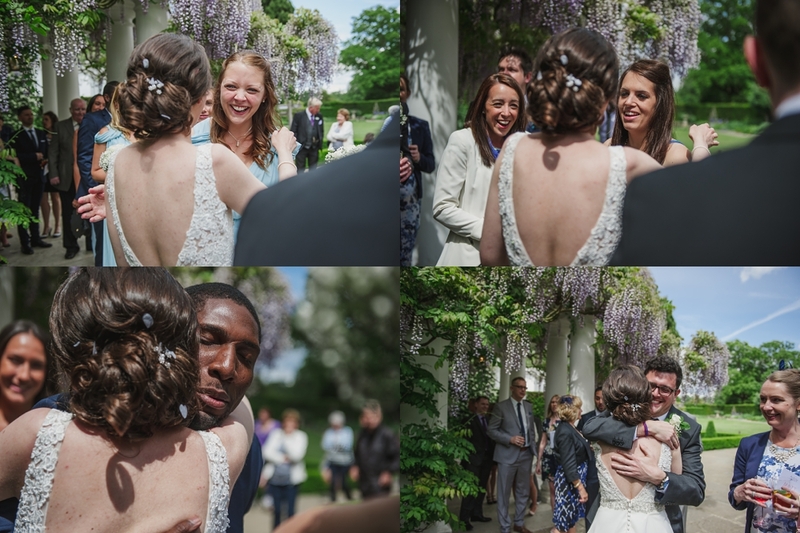 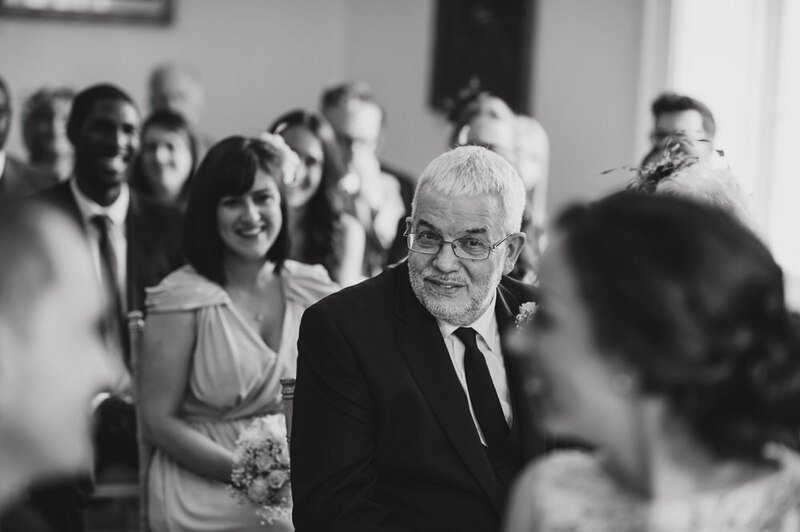 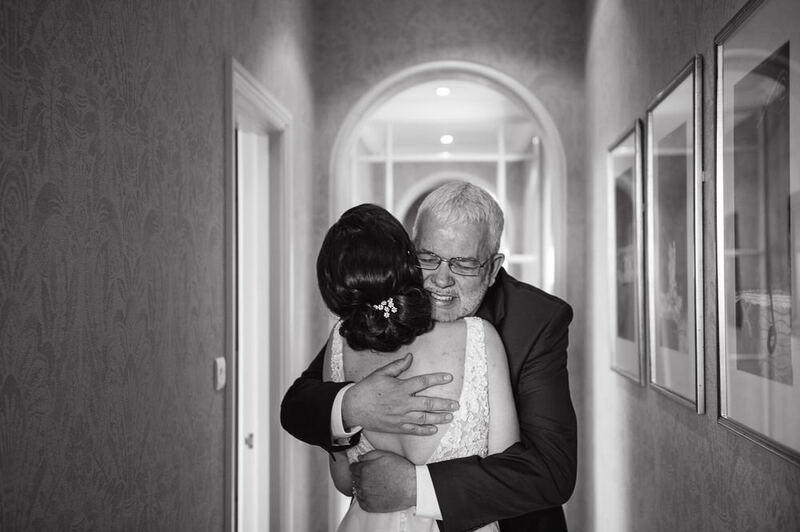 Here are some of my favourites from this lovely wedding day. 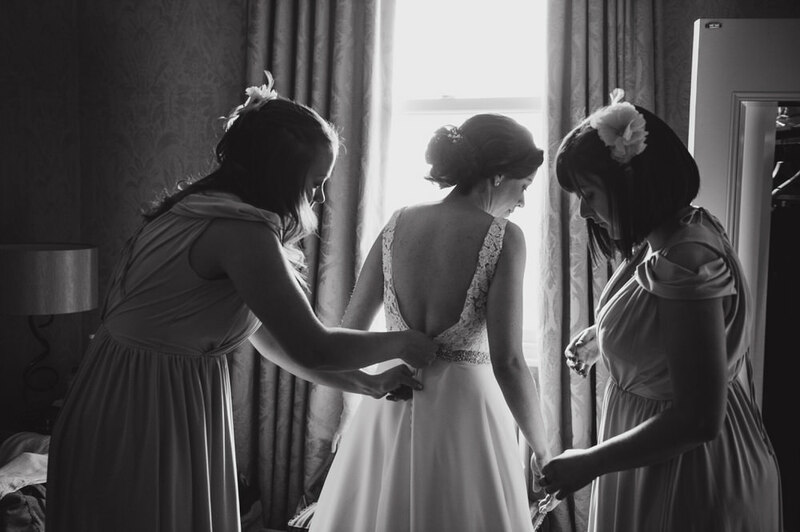 “Thank you Karen for our AMAZING photos. 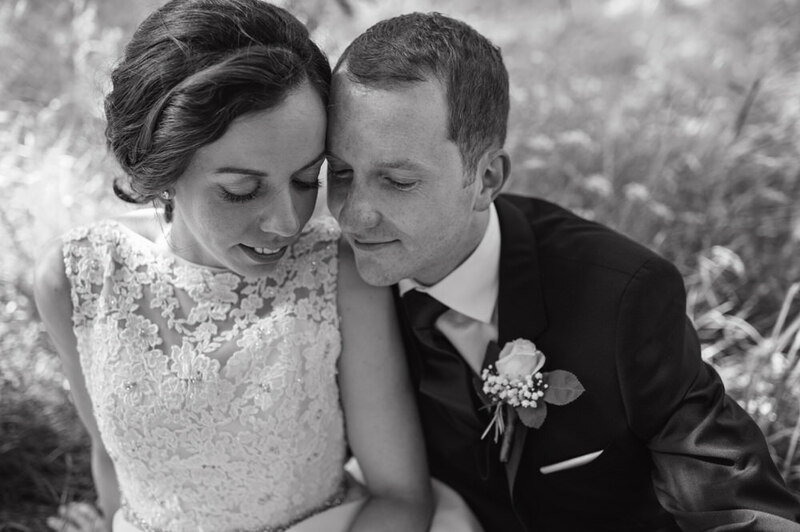 We absolutely love them!! 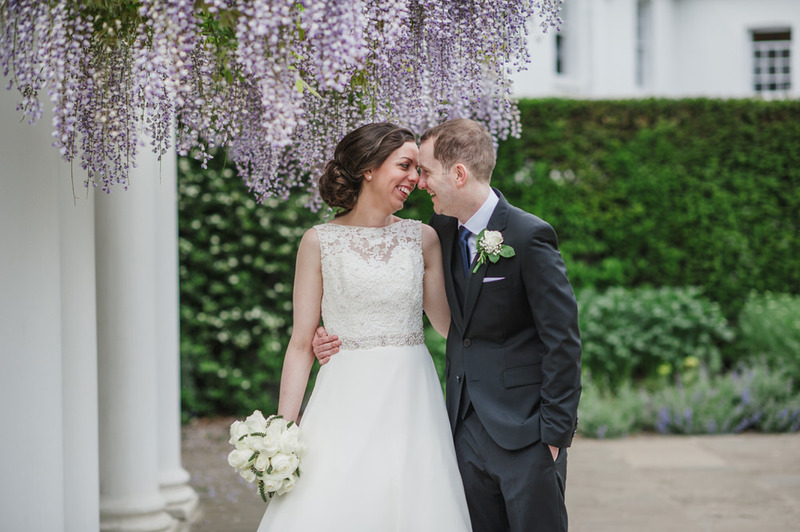 Please feel free to get in touch to find out more about wedding photography or get in touch if you are thinking about having a Pembroke Lodge Wedding.